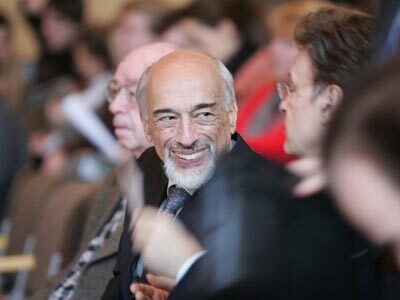 One of the main goals of the Swiss Chopin Society of Basel is to organize masterclasses for pianists. Since its foundation in 1996 four masterclasses have already taken place. 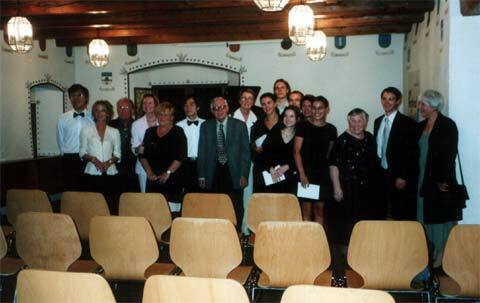 The first masterclass was held from August 17-20, 1998, at the Music Academy of Basel. It was given by the legendary pianist Halina Czern-Stefanska, now deceased, who had won the first prize in the famous Chopin competition of Warsaw in 1949. 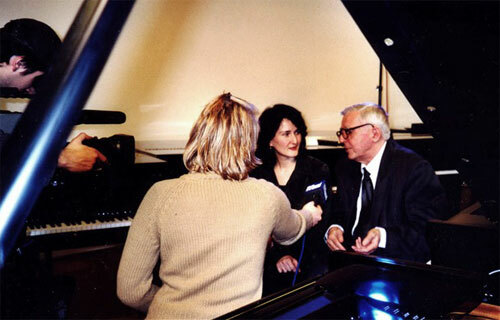 In 1999 the famous French pianist Bernard Ringeissen held a masterclass on “The Interpretation of French Piano Music”. The event took place in the rooms of “Piano Eckenstein”. 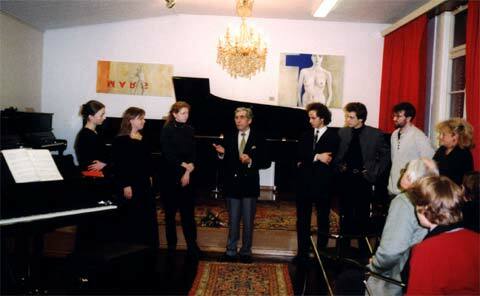 From March 5-10, 2002, our society had the great honour of hosting Lev Naumov Lev Naumov as the lecturer for a masterclass. 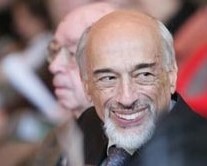 Mr Naumov is a professor at the Tschaikowsky Conservatory. Together with Sviatoslav Richter and Emil Gilels he participated in the masterclass of the legendary Professor Heinrich Neuhaus. Later he became his assistant and finally his successor. Neuhaus wrote one of the most important pedagogical works for pianists, “The Art of Playing Piano”. For this event “Piano Eckenstein” again graciously offered us the use of its rooms. 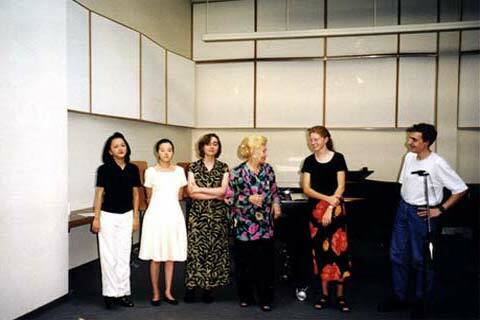 Professor Lev Naumov from the Moscow Tschaikowsky Conservatory also honored us with his participation in the Chopin Summer Academy, which took place August 17-23, 2003. This unforgettable masterclass was held in the picturesque Swiss mountain village of Ernen, VS. In the course of the festival "Basler Chopin Tage" (Chopin days Basle) in October 2006 Professor Andrzej Jasinski was with us. His classes were very interesting, and he also gave a lecture on Chopin's mazurkas, their origin and their characteristics. His lecture was successfully closed with a short piano recital. This class was organized in cooperation with the Musik-Akademie Basel (music academy Basle). For the masterclass of 12 to 14 March 2009 we can announce the Russian master pianist Dmitri Bashkirov. The class will take place in the facilities of the piano saloon of Piano Eckenstein at Leonhardsgraben 48 in 4051 Basle. The lessons start at 2 p.m. and last until 7 a.m. The course will be finished with a concert with the participants on 14 March 2009 at 8.15 p.m. The masterclass is open to the public.